By virtue of the provisions of the law, only a court can compel the appearance of a suspect. 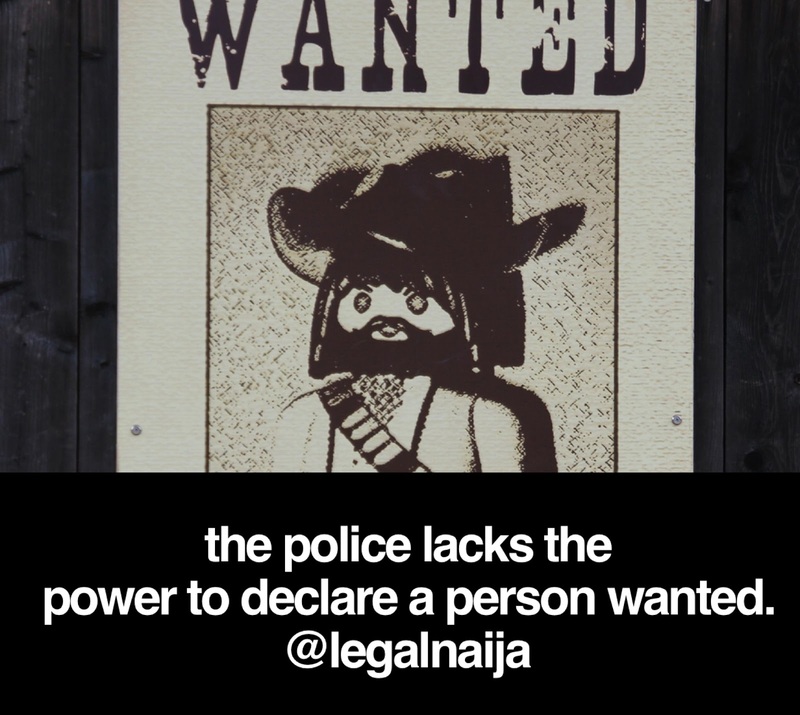 “ A court may issue a summons or warrant as provided in the Act to compel the appearance before it of a suspect accused of having committed an offence in any place, whether within or outside Nigeria, triable in a state or in the FCT”. 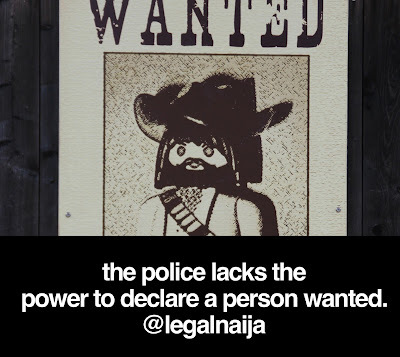 The Act does not in anyway empower the police to declare a person wanted without a warrant for that persons arrest issued a court of competent jurisdiction.